A variety of horror stories in this gothic fantasy anthology, boasting a stunning cover that’s been printed on silver, embossed & foiled twice. Flame Tree publish art calendars, diaries, foiled journals, and highly illustrated ebooks. Our extensive list covers many fine artists, as well as practical books packed full of expert advice made easy. Click here to see our full range of Digging & Planting titles. 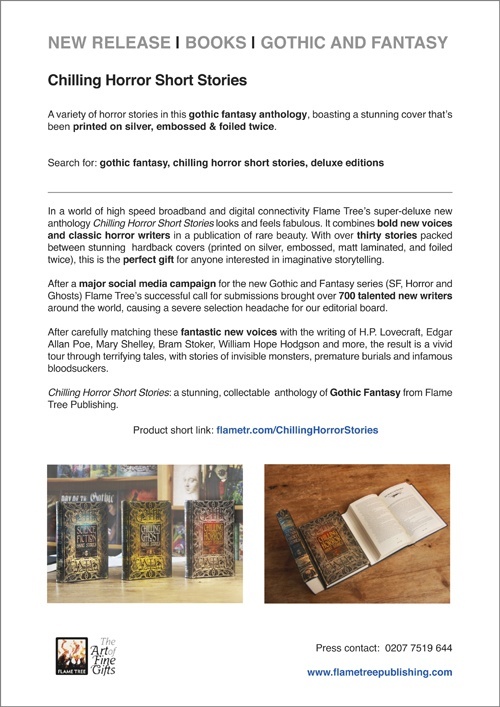 Click here to see all of our Gothic & Fantasy titles.